"The ancient philosophies were of two kinds: exoteric--those that the philosophers themselves could partly understand and, esoteric--those that nobody could understand. It is the latter that have most profoundly affected modern thought and found greatest acceptance in our time." Esotericism or Esoteric knowledge are ideas preserved or understood by a small group or those specially initiated, or of rare or unusual interest. In Greek, the term esoteric means "within", or "pertaining to the more inward", mystic. 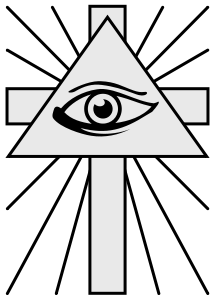 The term can also refer to the academic study of esoteric religious movements and philosophies, or more generally of alternative or marginalized religious movements or philosophies whose proponents distinguish their beliefs, practices, and experiences from mainstream institutionalized traditions. Examples of esoteric religious movements and philosophies include Alchemy, Astrology, Anthroposophy, early Christian mysticism, Magic, Mesmerism, Rosicrucianism, Swedenborgianism, Spiritualism, the Alawites, the Christian Theosophy of Jacob Böhme and his followers, and the Theosophical currents associated with Helena Blavatsky and her followers. There are competing views regarding the common traits uniting these currents, not all of which involve "inwardness", mystery, occultism or secrecy as a crucial trait. The word occult comes from the Latin word occultus (clandestine, hidden, secret), referring to "knowledge of the hidden. The term occult is also used as a label given to a number of magical organizations or orders, the teachings and practices taught by them, and to a large body of current and historical literature and spiritual philosophy related to this subject. Occultism describe the study of occult practices which include (but not limited to) magic, alchemy, extra-sensory perception, astrology, spiritualism, and divination. Interpretation of occultism and its concepts can be found in the belief structures of religions such as Gnosticism, Hermeticism, Theosophy, Wicca, Thelema, Satanism, and Neopaganism. Occultism has its basis in a religious way of thinking, the roots of which stretch back into antiquity and which may be described as the Western esoteric tradition. Its principal ingredients have been identified as Gnosticism, the Hermetic treatises on alchemy and magic, Neo-Platonism, and the Kabbalah, all originating in the eastern Mediterranean area during the first few centuries AD. What's the difference between occultism and esotericism? Almost all of the "occult" is esoteric, but not everything esoteric is "occult".Esoteric and occult related material is really more a spiritual or metaphysical philosophy, made up of universal principles and laws found in most every religion and culture around the world throughout history, in fact, many of todays most prominant religiouns were based on much early esoteric philosophy, spirituality and science. Many people have a belief that anything esoteric or occult is negative or evil. Esoteric and occult material consists of many physical, mental and spiritual tools and practices that can be used to expand ones understanding of the physical world around them (exoteric) and the spiritual world within them (esoteric). As Above, So Below, As Within, So Without. When considering any negativity or evil associated with any subject matter at all, one must consider the individual who is engaging in the practices, and what there intentions or level of understanding on such matters might really be. A hammer is a tool that can be used for with positive intention to build houses for the needy, or it can be used as a weapon for a negative purpose. Some people make very bad choices and are unaware of the universal principle of cause and effect. If one is truly initiated in esoteric or occult arts or philosophy then they would surely have an understanding of such prinicples and would thus seek to harm no other, and would be concerned with their spiritual progress for the better of themselves and for mankind as a collective whole. Index of the paranormal, occult and inexplicable. Also a variety of resources for the pagan community, new age buggs, unexplained pheomena enthusiasts, curious minds, and skeptics as well. The universe exists by virtue of these laws which come from its framework and which hold it together. A place where one could come to check out alternative media in a well organized fashion. These are given by Soul as guide lines to Awakening, Self-Realization, and living a Soul-Centered life. They are all based in Love. Listings and definitions can be found in the Language of Light Glossary. The Tree of Life is the most fundamental model of the structure of the Human nature and illustrates the interaction between logic and emotion. The higher Arcana of the Taro interacts with the Tree of Life using Fire, Water, Air and Earth as Spirit, Soul, Mind and Body. A list of articles on various occult and esoteric subjects, such as cults, witchcraft and tools in wicca, white and black magick, curses and hexes, satanism and other related and more 'darker' topics relating to the ancient and often misunderstood art of occultism. In 1453, Constantinople fell to the Turks, ending the Byzantine empire. This date also marks the beginning of the Renaissance, since the waves of Greek refugees spread knowledge of Greek throughout Europe. Included with the newly available Greek manuscripts were the Corpus Hermetica, Plotinus, and the works of the Neoplatonists. Is this phenomenon the Bible Code true or not true?